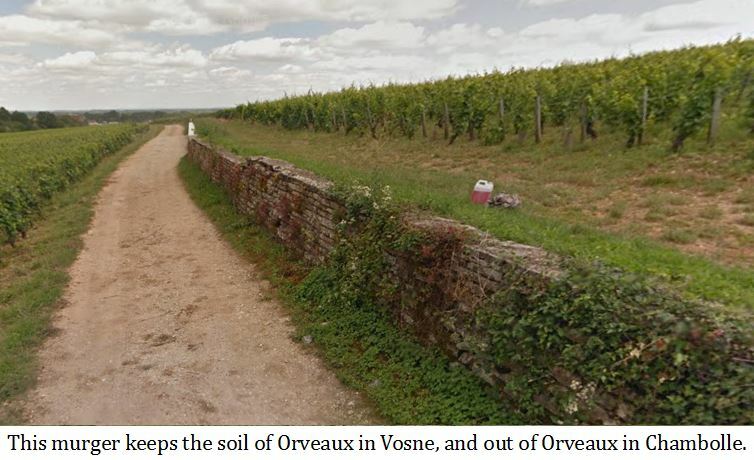 During the late 1990’s and early 2000’s, soil measurements in both Vosne-Romanée and Corton determined that the erosion rate for both areas were approximately 1 mm per year. 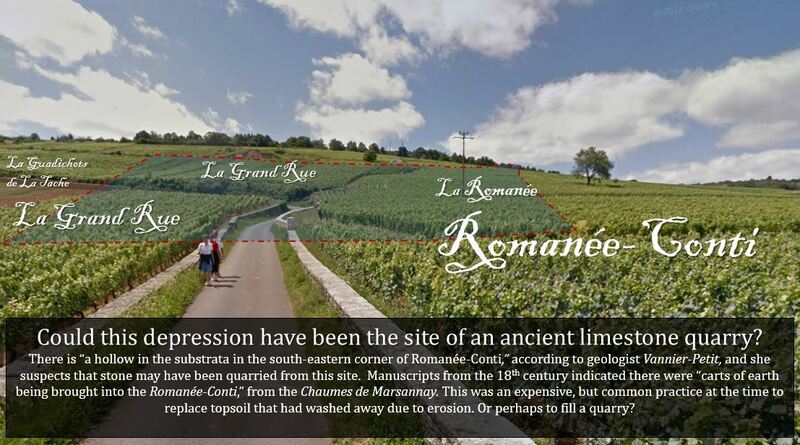 Considering that the entire Vosne hillside, as well as all of the hill of Corton are either premier or grand cru sites of enormous value, one would have assumed that every effort had been made to limit erosion. But that assumption would not have been completely true. Even now, 15 years later, with ever-improving an information, and a growing acceptance that erosion is significant problem that needs to be further addressed, not every farmer is making the necessary changes. While soil management may not be ideal in every plot, vast improvements have been made from the time of the Middle Ages, when erosion ravaged vineyards of the Côte d’Or. Man has waged an epic war against erosion for centuries; which, until recently, has been largely futile. The early Burgundians were understandably ignorant of soil structure and proper tillage techniques, both factors that greatly mitigate erosion. They had no way to know that it was the way they farmed that actually caused the huge erosional problems they fought so unsuccessfully to reign in. Change, in an old, tradition-bound culture is resisted; and that is nearly as true in Burgundy today as it was in the middle ages. New techniques such as conservation tillage can be very slow to be adopted, much less having a discussions with older generation about whether a vineyard should be tilled at all. That this ancient practice of zero tillage has been implemented with success in other areas as long ago as 1971, is of no consequence. 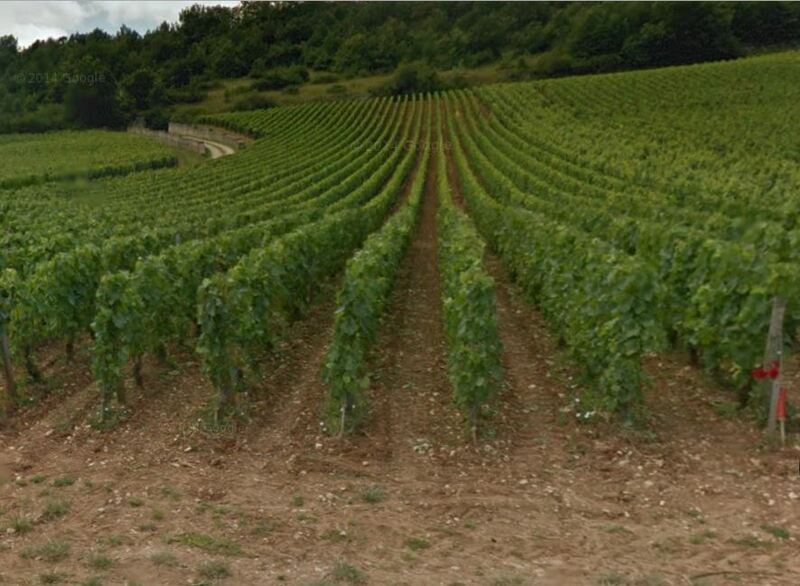 Before global warming, the vines were planted in Burgundy in east-west rows, straight down the slope. This directional planting was done in belief that it opens the vines to the early morning sun, allowing better ripening. Unfortunately, any truth to this is offset by increased erosion. While the weather was often predictably cold, and complete ripening could be hit or miss, the soil is a not a renewable resource. As we examined in Part 4, soil lost over 6,000 years ago from the hillsides of central France at the hand of Neolithic men, still has not, and in all likelihood, will never really repair itself. Murgers, or stone walls, have historically been the farmers first, and perhaps only, line of defense since antiquity. Murgers (or Clos if the wall completely surrounds a vineyard) as part of the idealized visage of Burgundy, shows itself as part of many vineyard’s name, ie. Volnay Clos des Chênes or Nuits St-Georges’ Les Murgers. Most murgers were no more than stacked stones constructed from rock that had been removed from between the rows of vines because they were plowing obstacles. Stacking them into walls to protect the vineyard from erosion naturally evolved in the fields. In the 18th and 19th century, some of the more wealthy landowners began to have murgers constructed from brick and mortar, then covered with a fine glaze of lime plaster. Grandiose entrances to these murgers were hung with intricate iron gates, meant to indicate both the importance of vineyard, and the owner. In either the case of a stacked stone wall, or a much more extravagant Clos, walls have been the leading defense the vineyards for centuries. They not only serve to direct runoff around the vines, also have the equally important function of keeping the soil that is in the vineyard from being carried out. It is now widely understood that the simple act of farming causes erosion, and poor farming techniques can cause tremendous erosion, particularly on slopes. The earliest record of man’s attempts to fix the vineyards eroded to the point where they could no longer support vines, comes from documents kept in the later Middle Ages. Jean-Pierre Garcia, a noted scholar at the Université de Bourgogne, quotes manuscripts in which detail the fight against erosion 600 years ago, in his paper “The Construction of Climates (Vineyards) in Burgundy during the Middle Ages” (from French). Translating these ancient texts from the French of the Middle Ages into modern English is challenging, but the message these manuscripts contains is clear: fighting erosion was back-breaking and exceptionally expensive, despite the luxury of cheap labor. This work was likely paid for the Dukes of Burgundy or the Church, or on possibly a smaller scale, by the Duke’s seigneurs, noblemen whose the manors covered Burgundy. By the end of the middle ages, there are the first references to “exogenous inputs of land”, meaning that earth is brought in from an outside area to replace the topsoil lost to erosion. Land was taken in 1383 from Chaumes des Marsannay and from below the “grand chemin” (highway). This was a huge undertaking that was completed over the scope of “691 workers demanding days”. Horses and wagons were very expensive in the middle ages. Having 800 wagon loads plus the labor was a major undertaking. 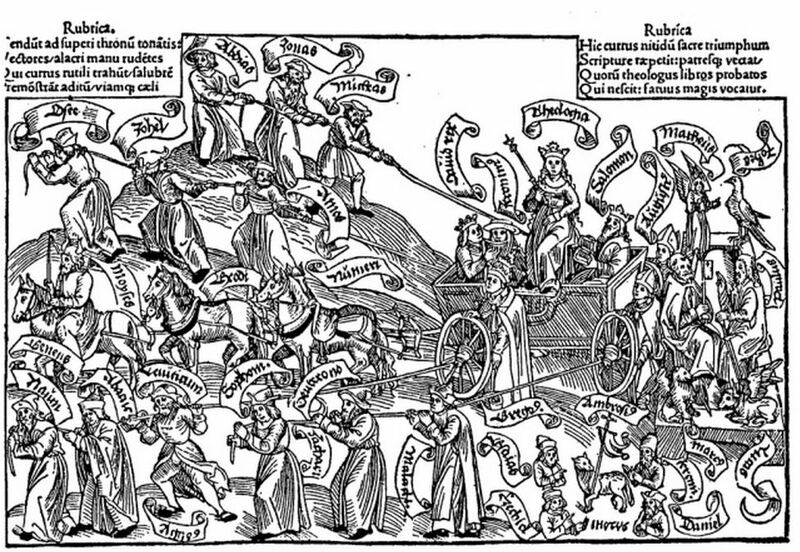 This, a woodcutting from 1506 depicts the power associated with the horse-drawn cart, is called “The Triumph of Theology”. Then again in 1407 through the spring of 1408, it took 128 days of work were “to flush the royes and carry the earth in the clos,” and 158 working days “to bring the earth into the Clos.” It is immediately obvious that medieval French measure was unique to the time, and is very difficult translate. In one instance, it was recorded that for 28 days carts carried earth into a vineyard in Beaune, and “28 days labor and 48 days working.” In 1431 there was this reference that “six days a horse hauler, dumped 30 days to 2 horses (are needed to dig from) the Chaumes de Marsannay and the road beneath the Clos where piles of earth were raised.” While the exact labor is impossible to gauge, it is very apparent that immense effort was made, by whatever means necessary to return the vineyards of Burgundy to agricultural viability. Here rill erosion has stripped the soil down to the limestone base in Corton-Charlemagne. photo from an excellent study by J Brenot et al of the Segreteria Geological Society in Rome. The practice of bringing in soils from outlying areas continued through at least through the 18th century. When the Romanée–Conti vineyard (a national property) was sold in 1790, the sale documents reveal that in 1749 the “Clos received 150 carts in grass taken off the mountain” of Marsannay. 1785-1786 “dug near the bottom of the vineyard and removed 800 wagons of earth, and this was spread in areas devoid of ground and low parts.” This practice appears to have ceased, or as Garcia writes “at least on paper” after 1919 when the Appellations of Origin was established. The INAO has certainly forbidden exogenous soil additions since it was formed in 1935. At this point, no record has been found regarding a quarry having been excavated at the site of Romanée–Conti, but many governmental and clergy records were destroyed during the revolution. With this, the argument that these vineyards have “special dirt” has been laid open as fallacy. The topsoils of the Côte have been reshuffled for centuries, integrating alluvial loams and clays from the base of the slope (or from elsewhere) back into the fold of the upper slopes of the Côte d’Or. 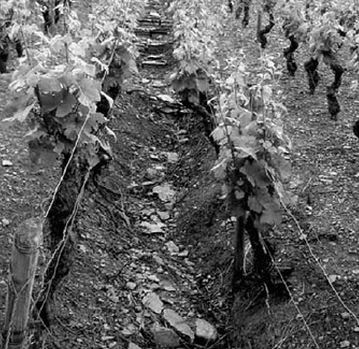 The vignerons of Marsannay who are lobbying for 1er cru classification for their vineyards would certainly point to the fact that their dirt is very similar to the dirt in Gevrey. Better yet, it is clear that a fair amount of Marsannay dirt contributes to create Romanée–Conti, the greatest wine all of the Côte d’Or, and that dirt has been there for centuries. As if by divinity, the some potential erosional problems were avoided by the fact that Burgundy’s vineyards tended to be quite small. 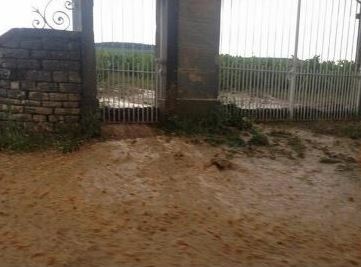 Murgers at vineyard boundaries could then slow the velocity of the runoff as it moved down the hillside, not allowing it to gain so much momentum that a high suspension velocity can be reached. These vineyard breaks have been crucial in even wider erosional damage in many areas. The creation of small vineyards was often caused by two factors. The first being economically large vineyards did not make sense. There wasn’t sufficient demand for wine to produce significantly more than the greater Burgundy area could consume. The poor roads and the lack of safety between villages and cities made medieval trading slow and perilous. Additionally the division and subdivisions of France and the rest of Europe meant that lords had the right to restrict passage and to impose fines and tariffs upon merchants. These factors diminished the volume and frequency of trade within the continent, and in turn limited the amount of wine needed to be produced. Large tracts of vineyards were not necessary. The second, and perhaps the greatest limiting factor of vineyard size would be size of a plot that a single man could work in a day. 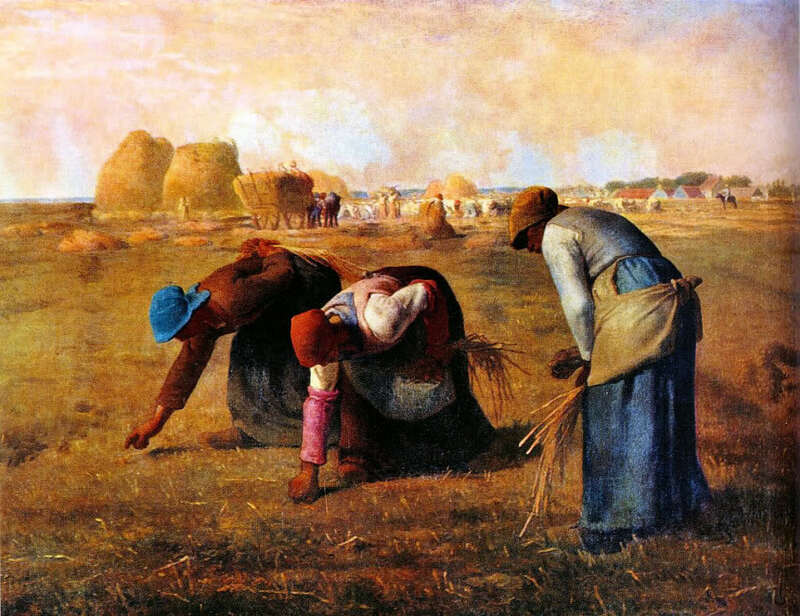 While ouvrées simply means worked in modern French, it was used in the past as a measurement of land based on how much land a single farmer could work himself. Thus, one ouvrées (4.285 ares (2) or a tenth of an acre) is the amount one man can work in one day without a horse. Madame Roty re-counts her family’s history in explaining that in the late 1800’s an earlier generation did not bother to plant their vines in rows since they could not afford a animal. This suggests an interesting fact set of circumstances. Before the Revolution, (the Roty’s farmed Gevrey since 1710) farmers who specialized in grape cultivation, worked a handful of parcels on the local Seigneur’s manor, in the open field system described in Part 4. In this feudal society, they had the use of a shared horse and plow which belonged to the estate. However, after the ownership of land was released to the serfs following the Revolution in 1793, they may have now owned their parcels, but they so poor they could not afford the animals to farm them. This forced most of the peasants of Burgundy use to no-till farming methods. Later as economics of the region improved, a horse could be bought (perhaps in co-op one with one or more families), the Roty’s were forced to remove some of the vines so the animal and plow could pass through. Farmers who could afford a horse, found the animal multiplied their efforts eight-fold, allowing them to plow 8 ouvrées in a day. A family with a horse could now manage seven hectares of land, which were, of course, divided into the same feudal era parcels families of the area had always farmed, just as they do today. The emergence of tractors opened up the capabilities substantially more, allowing growers to farm much larger areas of land. Additionally that extra time has allowed growers to farm in farther flung vineyards, in villages outside of their own. 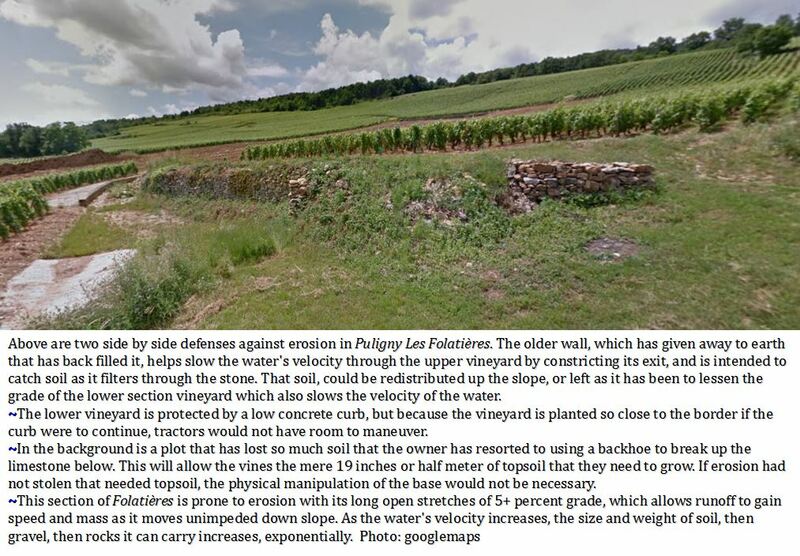 Next Up: Part 4.2 Erosion fundamentals: infiltration rates, runoff and damage, and how it has changed the wines of Burgundy. (1) Musigny has three factors in its favor. It has a shallow slope which aids in its soil retention. It is a shallow vineyard, in that its rows are not long, and runoff can not achieve a high suspension velocity. And third, it is enclosed by walls that help protect it from some erosional forces. (2) Ares is 100 square meters, and a hectare is 100 ares.